Two birds way out on the fresh marsh, both in winter plumage. 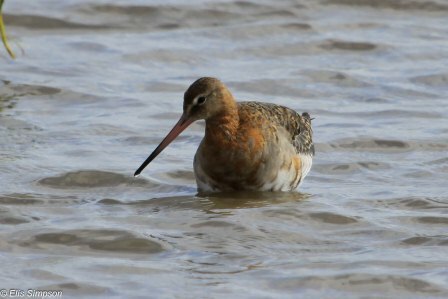 Three subspecies of this widespread godwit are recognised. 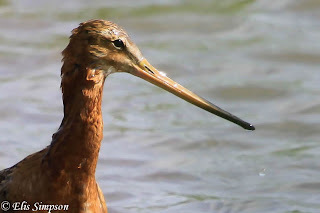 L. l. limosa breeds through western and central europe through to Russia; L. l. islandica breeds on Iceland, the Faeroes and northern Scottish Islands and winters in Ireland, the UK, and down to Iberia. The third subspecies L. l. melanuroides breeds in Russia, Mongolia and China. Non breeding populations can be found in India, south-east Asia down to Australia. 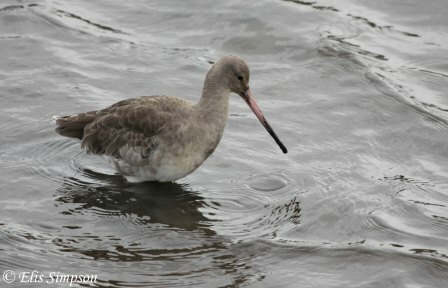 In the UK we will probably have seen L. l. islandica. In Thailand we would have seen L. l. melanuroides. 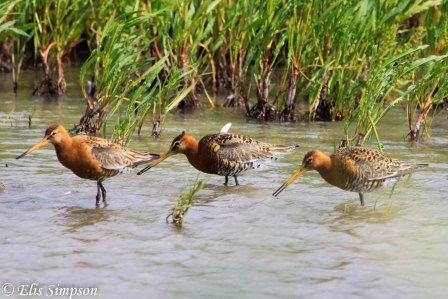 The main threats to this species are: habitat loss such as wetland drainage and agricultural intensification; also land abandonment; they are also shot for sport in France (temporary ban in place) and also for food in Africa; loss of habitat on flyways. 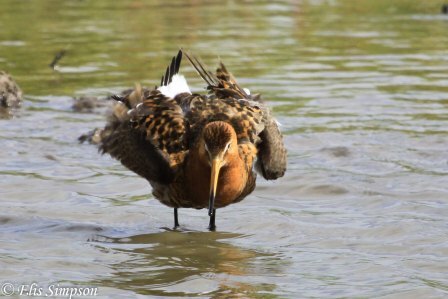 Birdlife International (2013) Species factsheet: Limosa limosa. Downloaded from http://www.birdlife.org on 29/01/2013. 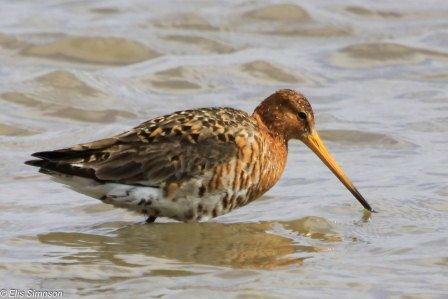 This was one of the actual birds we saw on 1st November.